Best known by his pen name of Fazza, this poet and member of United Arab Emirates royalty was given the title of Sheikh upon his birth. 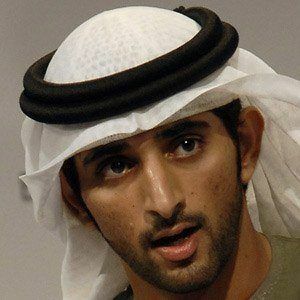 In 2008, he became Crown Prince of Dubai. After studying at the Dubai School of Government and the Royal Military Academy Sandhurst (in England), he entered the London School of Economics. His published poems are known for their themes of patriotism, romance, and family. He grew up in the Sunni Islam faith as the son of Mohammed Bin-rashid Al-maktoum and Hind bint Maktoum bin Juma Al Maktoum. He is the second of thirteen children. He and Princess Shaya Bint Al Hussein of Jordan were both members of Middle Eastern royalty.